It pretty much goes without saying that Dragonball Z is still considered by many to be one of the greatest anime series of all time. The intense combat action, standout visual design and unique brand of humour have all attributed to the success of this anime franchise in the past. The show addressed plenty of themes that we, as the audience, loved to see represented in popular media. Good vs. evil, never giving up despite impossible odds, inner strength and such. Even though the official anime ceased production around 15 odd years ago, it is still one of the most popular to date. 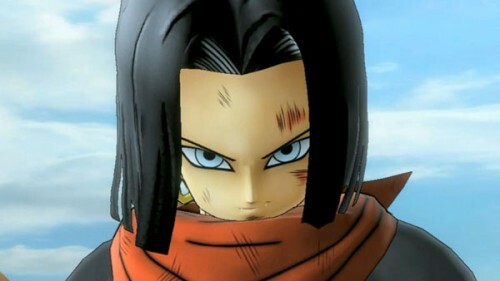 The recent re-creation of the series in Dragonball Z Kai has further perpetuated its success as a series. So naturally, throughout the course of its existence, there have been more than a handful of video game adaptations. The relative success of previous video games based on Dragonball Z has largely fluctuated from time to time. It is really a mixed bag of quality when it comes video game adaptations of anime. Some have been fantastic, while others lacklustre and bland. This variance is often attributed to both a combination of graphical quality, gameplay limitations and control issues associated with combat. Has the newest instalment been able to take these opinions on board? And more importantly has the game series evolved to distinguish itself from the rest? Boasting new gameplay styles such as giant boss battles, customised character creation, enhanced graphics and an epic story experience that revisits the tale that is the Dragonball Z saga, will DBZ: UT live up to the standards of the fans? Anyone who has seen the anime will no doubt already be aware of the story flow of Dragonball Z. 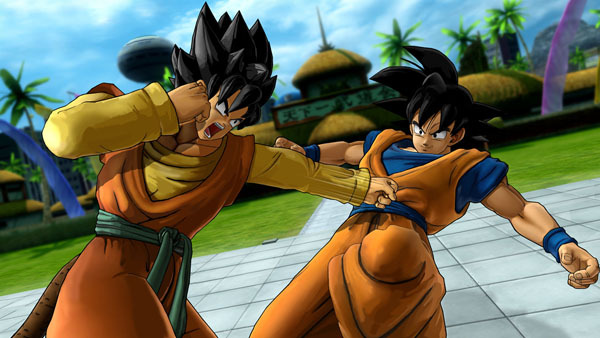 The game’s Story Mode takes players on an interactive trip through the history of the Dragonball Z and GT franchises. Throughout this game type, players assume the role of various characters from the show and progress the story through their actions. It’s a feature that we as an audience have seen implemented plenty of times before, and seems to be a basic necessity of modern Dragonball Z fighters. The flow of the story is told in both elements of gameplay and anime cut scenes that are of even better graphic quality of the anime originals. 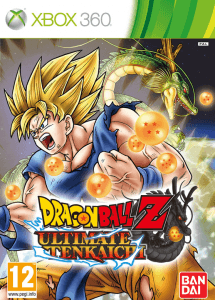 By defeating an enemy, the player will progress further through the story, which includes not only the sagas from the canon anime releases, but also the slightly lesser canon Dragonball Z movies, such as the Broly movies, and Fusion Reborn. It is pretty difficult to lay down criticism of the storyline as it mirrors that of the anime. One which has stood the test of time. Five years after Goku, the hero of Dragonball settled his score with Piccolo at the world martial arts tournament, a strange spaceship lands on Earth, with a powerful warrior named Raditz aboard. Travelling to Earth to find Goku, the warrior reveals that both he and Goku are part of a near extinct alien race known as the Saiyans. This sets in motion a series of dramatic events that will shape the entire future of the Dragonball Z universe, and it is here where players start their game. Aside from the standard story mode, which allows players to experience the canon Dragonball Z story, a second story mode also exists that provides a completely new, original story within the DBZ universe. This game type is labelled ‘Hero Mode’. 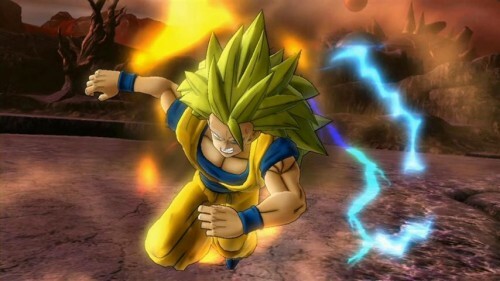 In this game mode, rather than follow the footsteps of DBZ heroes like Goku and Piccolo, players are provided with the opportunity to create their very own Dragonball Z fighter. Using one of their custom-made characters, players can delve into an entirely new storyline that features their own creation as the lead hero. While the story is significantly shorter and simpler than that which one would experience in the canon DBZ series, this particular feature is one which is most certainly going to appeal to many DBZ fans. Naturally, as an anime that focuses heavily on the notion of martial-arts and fighting and combat, video game adaptations are quite commonly created under the fighting game genre. Within the game, fighting takes place between two combatants at any one time. While there can be more than one fighter on either side of the fight, the game only allows for 2 characters to wail on each other at any given time. The combat itself is relatively simple and easy to pick up. One of the first things players will need to learn is that fighting takes place in two ranges: melee range and blast range. In melee range, combat is performed with a series of punches and kicks, whereas blast range has the player dish out and dodge energy blasts. Both ranges have a weak rapid attack, for landing quick combo hits, and a slower, but stronger smash attack that breaks blocking stances and smashes opponents away. Both ranges also utilise a block function, which allows player to completely negate damage from weak, rapid attacks. The notion of having a different control scheme for different ranges seems somewhat confusing at a glance, but the game compensates for this by only changing the combat range after a smash-back attack is landed, or if one of the combatants chooses to alter the range with a simple double press of the dash boost button (A for 360, X for PS3). Doing so can allow the player to change battle range to suit their style, but doing so has its risks. Whenever combat range is changed, or a long enough combo placed upon one of the combatants, the gameplay will suddenly slow, prompting the player to press either smash or rapid attack buttons to initiate a long-chain combo. However, the enemy player also has the chance to react. If the two players both press the same button, the victim of the attack will turn the combo back on the attacking player. This essentially reduces the ability to engage in a long chain combo down to a 50/50 chance of succeeding. If the players find themselves caught in a long-chain combo, then it is INTESNELY difficult to break free from, unless you have enough ki energy charged. My advice? Get ready to work those fingers big time. While there are ways around avoiding the counter attack (such as using the strike booster technique, or attacking from behind), consistent momentum is not something a player is likely to find. DBZ is also a series famous for the fighters’ utilisation of signature techniques, such as Goku’s Kamehamaeha and Vegeta’s Big Bang Attack. However, in order to use these techniques, the player must build up their spirit meter. This brings up an issue surrounding the HUD. Rather than just simply use ki, like previous games have done in the past to utilise special techniques like these, the player must build up a spirit bar which can only really be built up from smacking around your opponent like a tennis ball at Wimbledon. Only the smash combos can adequately charge spirit, but if your opponent consistantly blocks any attempt to get a smash combo chain going, then many players will find themselves frustratingly unable to perform their favourite DBZ attacks. Unfortunately, seeing the signature attacks in action is a rare event in battles, typically only used closer to the end of the fight as a finishing move.